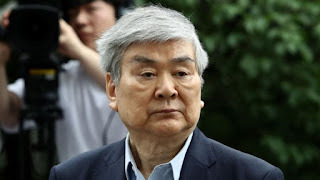 Cho Yang-ho, the former chairman and CEO of Korean Air has died just a few weeks after the board of the beleaguered airline ended his 27-year long role of leading the company. He died on Monday of chronic lung issues in a hospital in Los Angeles hospital, which came as a surprise to many, as details of his health condition was not widely known. Cho had surgery for lung disease some time ago, although his condition is understood to have worsened over the last couple of years. In recent years Korean Air has endured a number of scandals because of the behaviour of members of the Cho family, all holding top jobs at the airline. Including the infamous 'nut-rage' incident involving daughter, Heather Cho forced a fully loaded jet back to the terminal after she was incandescent with rage over the way nuts were served to her in the first class cabin. Also, Cho's youngest daughter Emily Cho allegedly threw a drink over an employee at a business meeting, although she cleared of all charges the incident drew much public condemnation. Cho's widow, Lee Myung-hee, is currently facing charges for physically and verbally abusing her staff. and Cho had faced charges of embezzlement. 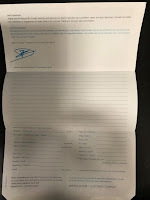 Where this leaves Koren Air in the future is hard to say, there is bound to be some form of legal action over the inheritance of Cho's shares, which could have some impact in the management and direction of the airline. Many see this as an ideal time to move the firm away from family ownership and more to a variety of shareholders.